Update: The situation in Southern California has gone from bad to worse, as residents have been ordered to evacuate after the Woolsey Fire jumped over the 101 freeway, which is now closed in both directions for approximately four miles. 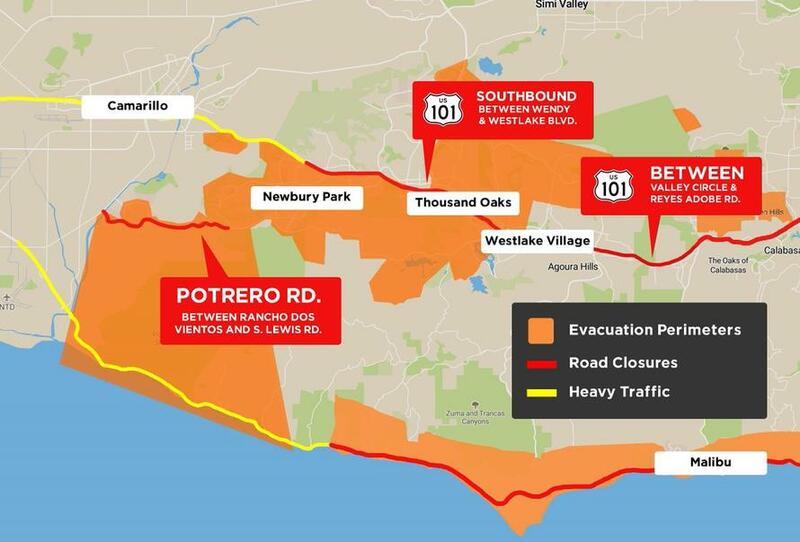 The Pacific Coast Highway is also closed northbound at Topanga Canyon and southbound at Leo Carrillo State Beach. A red flag warning will remain in effect until Tuesday. Dozens of homes have been destroyed, including Caitlyn Jenner's, as the fire has spread to 14,000 acres with zero containment. 🔥On-going coverage of Southern California fires. 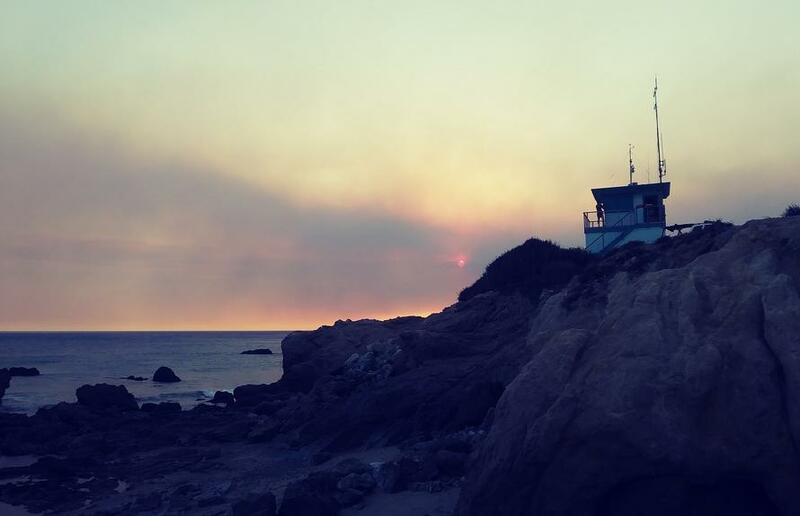 The upscale California town of Malibu has been ordered to evacuate after a raging wildfire jumped the 101 freeway at approximately 5 a.m. and barreled towards the seaside community amid high winds. WOW: THIS is the 101 Freeway on Friday morning during rush hour with smoke from the coming fire(s) pushed by the high winds. 75,000 homes in LA and Ventura counties were ordered to evacuate as a second fire broke out Thursday afternoon, destroying an unknown number of structures. The Woolsey Fire was zero percent contained as of 6 a.m. Friday after destroying at least 8,000 acres. CBS2 reporter Tom Wait described conditions on the ground as “apocalyptic,” as ember and ash rained down on the streets below. 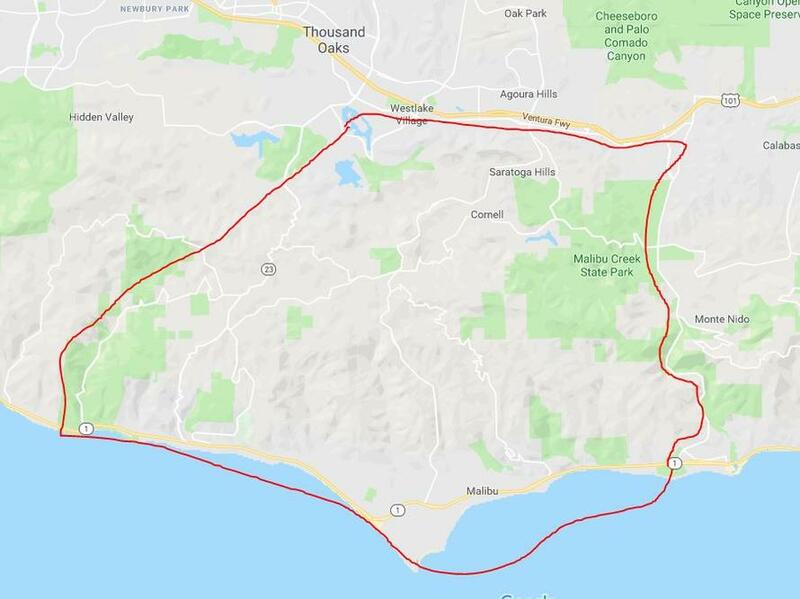 A large swatch of Malibu was under a new mandatory evacuation Friday morning: from Liberty Canyon, west to Decker Canyon, south to the Pacific Coast Highway. "The fire has progressed down into the city of Thousand Oaks," said Dettorre. 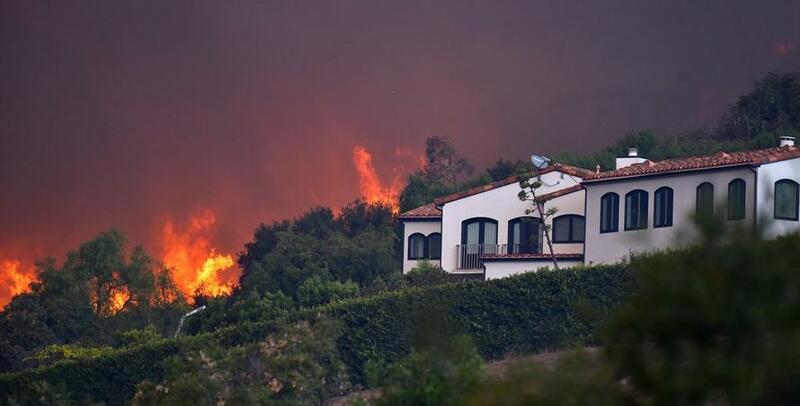 "It’s a mandatory evacuation, what that means is, you don’t have to leave, we want you to leave," said Ventura County Fire spokesman Rich Macklan. "But people know they can’t get back in once they do leave. We want people to leave early, when firefighters ask you to, because firefighting equipment needs to come in and do their work. And if you leave early, it helps us tremendously."